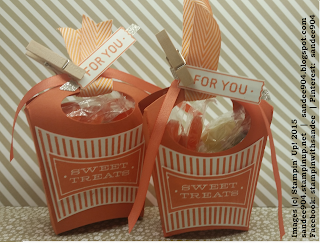 Today we will be making these cute treat bags. On page 61 of the new 2015-16 Annual Catalog, Stampin’ Up! offers the All About Sugar Stamp Set in photopolymer and the Fry Box Bigz L Die (p. 175) at a 15% discount if you bundle these fantastic 2 products. 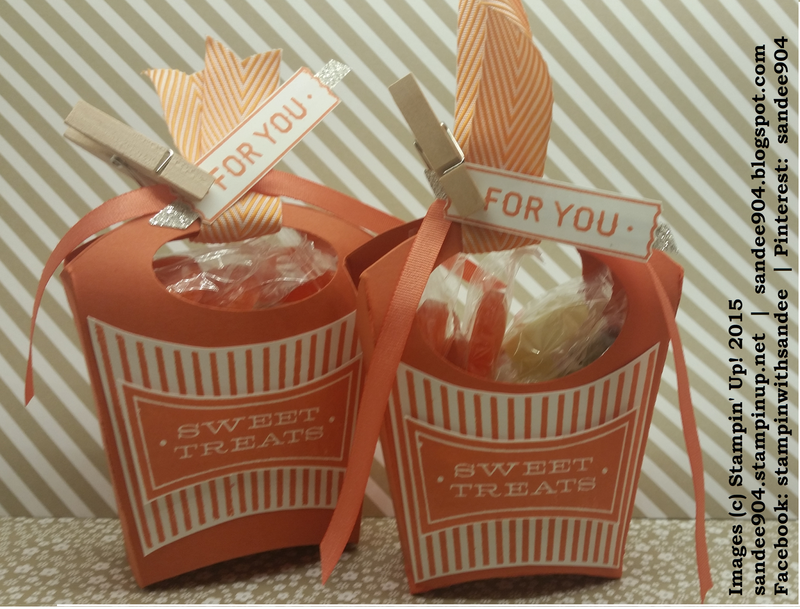 Incredible savings to make this super cute treat bag in the shape of a fry box – just like the ones your favorite fast food comes in. There is absolutely not much work involved in putting together this project. Run a half sheet of card stock through your Big Shot™ using the Fry Box Bigz L Die. On my project, I used a piece of Tangerine Tango card stock for the fry box and stamped the images on Whisper White card stock – fussy cutting the images with a very, very slight border of the Whisper White. It would have been awesome to have a punch or die cut for these smaller images, but the fry box was the way to go. I wish I could give credit to the demonstrator’s video I saw many weeks ago – I am sorry, I do not remember her name any more – where she folded the card stock in half instead of laying the half sheet across the whole die in order to allow identical dimensions for the front and back of the box. This change allows you to punch the “handle” using the Large Oval punch as you can see in the photo of my project. I also used the Extra Large Oval punch by accident on one of the fry boxes. I am not so sure I like it as well as the Large Oval punch. 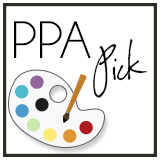 But that is the beauty of paper crafting – you get to make your own choices. Most importantly, please be sure to use a strong adhesive, like the new Tear and Tape Adhesive (p. 156, $7.00) to secure the sides of the fry box. Then you will be assured that your treat bag will not fall apart on your recipient! from my online store at sandee904.stampinup.net only, I will send you via regular U.S. mail one (1) half sheet of Tangerine Tango Card Stock, one (1) half sheet of Whisper White Card Stock, and the 2 pieces of ribbon (both ribbon shown are retired now so this will be while supplies last or through expiration of this offer) which will be enough to make one of these cuties yourself. Now hurry, because you must place your order at my online stone before the end of the day on August 31, 2015 when this offer will expire. Please be sure to check the box that I am allowed to contact you, otherwise, I will not have your address to mail your goodies out to you. 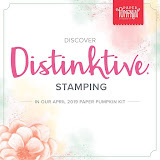 And, if you already have the All About Sugar stamp set or the Fry Box Bigz L die cut, I will still honor my offer as long as you place an order through my online store at sandee904.stampinup.net for any product totaling $50 or more (excluding shipping, handling, taxes).